By helping small vendors get their businesses off the ground, retailers differentiate themselves in a competitive marketplace and build important local supply relationships. As the retail landscape continues to change, thanks to factors like grocery delivery and Amazon taking over Whole Foods, relationships involving retailers have changed, too. That includes relationships with both suppliers and with consumers, and one way that some retailers have adapted is by taking on the role of small business incubator. 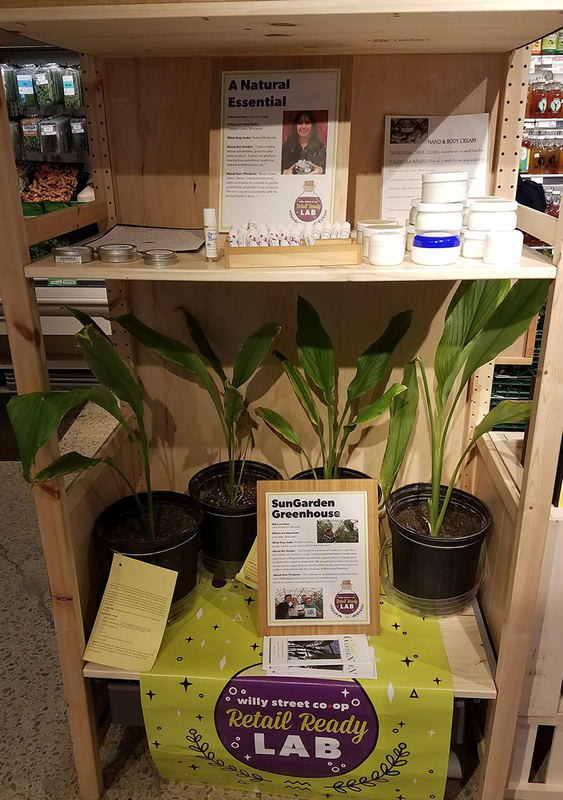 For Glen’s Garden Market in Washington, D.C., incubating brands is an efficient way to both build community and connect people with good food options while also keeping things interesting for customers. “It’s a fantastic way to ensure that you continue to offer a differentiated product mix,” said founder Danielle Vogel. Serving as an incubator will mean that your store is the first place that customers can find some companies’ products. “Not only does that create a special relationship between the retailer and the producer, but it also creates a very special effect in the store, of feeling like part farmer’s market, part grocery store," she said. In Madison, Wis., the Willy Street Co-op transformed its unofficial role as incubator into a formal program, the Retail Ready Lab, last September, and has watched it fill a void for small businesses while also generating consumer excitement. “In the increasingly competitive grocery landscape, when many of our competitors are decreasing the resources they put into helping local and small vendors, this program has helped us stand out as a retailer who continues to emphasize this important work,” said Megan Minnick, purchasing director at the co-op. The program can offer immense marketing benefits while cultivating strong relationships with brands that are going places. “These vendors are most likely going to be extremely loyal to you and could prove to be important partners as we all continue to strive to differentiate ourselves in the marketplace," Minnick said. Bi-Rite Market in California also has a reputation for supporting small food purveyors in a similar capacity; the retailer says this has been a part of its ethos since Sam Mogannam took over 20 years ago. “We love helping these makers tell their stories so our guests can learn about the passion and artistry in their food and form personal connections to the makers,” said a Bi-Rite spokesperson. Including locals such as McVicker Pickles and Jamnation’s ‘Damn Good Jam’ on our catering menus creates a uniquely San Francisco culinary experience for our guests as well." Vogel said that of the 80 small businesses that Glen’s has helped to launch, 45 have been owned by women. Willy Street Co-op's Retail Ready Lab has also noticed that vendors have been much more diverse than the general vendor pool for the full co-op. Minnick explained the Retail Ready Lab can help the co-op vet new products from small vendors that it might not be ready to take a chance on in its regular set. “If you're really not sure if a product is right for your store, you can gain really great insight through a program like this,” she said. Be prepared to be patient. Incubating small companies takes patience and understanding. “Dealing with these brands is fundamentally different from a brand you’d get on a UNFI truck,” Vogel noted, because these small businesses are essentially learning as they go. Invest in a good display. That includes options for refrigerated and frozen products. “This will allow you to keep your options open in terms of vendors you feature," Minnick said. "If you are limited to shelf-stable products, you will have to say no to a lot of vendors with very exciting products." Keep staff involved and informed, as they can be strong advocates for the vendors. Sample! Encourage vendors to sample product as much as they can. It’s vital to connect with customers in this direct, accessible way. Be realistic with vendors. “That, ultimately, is what will help them succeed,” said Minnick, even if it means telling them where they might be falling short or even that they’re not ready for retail just yet. Don’t compromise on integrity. But, be open to feedback and evolving the concept so you can meet market demand.